A comprehensive overhaul of Beyond Skyrim - Bruma's ingredients, effects, food, drinks and flora for full integration with Complete Alchemy & Cooking Overhaul. Permissions are open to adapt this patch for further development. This patch has been produced with permission from these fantastic mod authors. 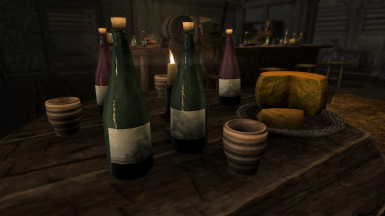 A comprehensive overhaul of Beyond Skyrim - Bruma SE ingredients, effects, food and drinks for full integration with Complete Alchemy & Cooking Overhaul. 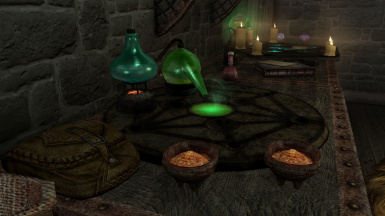 Bruma introduces a considerable number of new ingredients and some new potion effects. Duplicate ingredients are patched for all world placements, Llists and any Quests. Bruma's food has received a major overhaul with new recipes, portions and full synergy with CACO. Inns will now have an appropriate mix of CACO and Bruma foods and drinks. The CACO learning script has been added to Bruma's Recipe Notes. The recipe notes use CACO's naming conventions and are corrected for any changed ingredient effects.